The county manager position is now known as the Chief Executive. 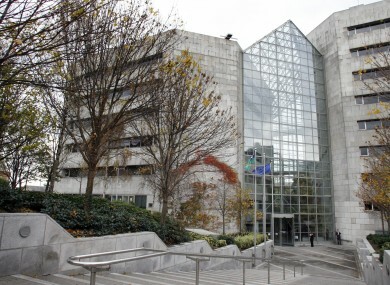 THE COUNTY MANAGERS of 34 local authorities in Ireland made a combined €4.6 million per year up until the end of 2009. The figures are laid out in a parliamentary question submitted by independent TD Stephen Donnelly, which shows that up until January 2010, the head of Dublin City Council was paid €202,461. In keeping with public sector pay cuts, all county managers took cuts at the start of 2010. This move saw the salary in Dublin City cut to €189,000 and the pay in Cork County, Fingal and South Dublin cut from €171,000 to €162,000. The County or City Manager performs the executive functions of the County or City Council. Appointed through the Public Appointments System, he or she supervises, co-ordinates, manages and pays the employees and officers of the council. He or she also makes contracts on behalf of the council and affixes the official seal of the council on documents. They generally have seven-year terms. From 1 June, the title changed to Chief Executive and there are now just 31 local authorities. In his response to Donnelly’s question, Environment Minister Phil Hogan outlined the other allowances paid to CEOs. “County and City Managers, Local Authority Chief Executive Officers (CEOs), formally are entitled to claim for travel and subsistence costs incurred as part of their official duties, in accordance with the relevant travel and subsistence circulars. All local authorities are obliged to ensure that only essential travel is undertaken and that related expenditure is critically appraised and monitored. A CEO may claim up to 7.5% of their salary in substitution of motor mileage rates contained in the travel and subsistence circulars, where a local authority considers that those allowances do not adequately recompense the CEO for the extent to which their car is used for official business. The response added that CEOs are paid between €2,095 and €6,858 in allowances for entertainment every year. Email “Here's how much your county manager earned between 2008 and 2011”. Feedback on “Here's how much your county manager earned between 2008 and 2011”.